nubia Malaysia has unveiled three new smartphones for the Malaysian market which you really need to check out, and which will give serious competition to all the other brands currently available. These three new nubia smartphone models are nubia M2, nubia M2 Lite and nubia N1 Lite. 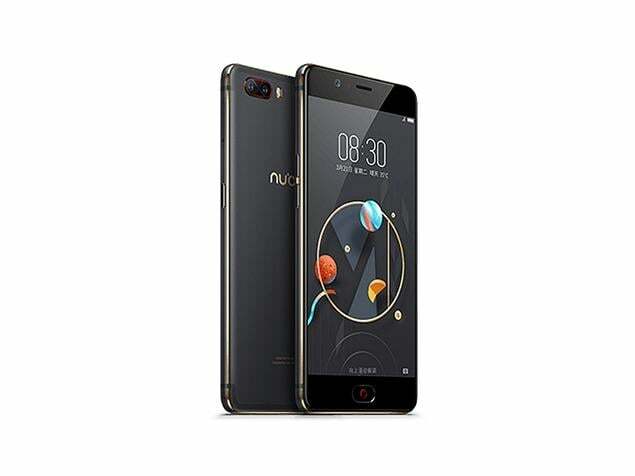 nubia M2 boasts stellar capabilities, perfect for smart and heavy users who seek for mid-range smartphone that offers high performance at reasonable price. nubia devices are well known for offering attractive look and stellar built quality. The nubia M2 continues the tradition by using the company’s nubiArc design concept. It comes in a metal unibody at 7mm thickness. The exterior body is polished, sand blasted, and goes through 72 processes to create a soft texture. The M2 marks the debut of the dual rear camera setup in nubia's roster. The device offers dual 13 megapixel SONY CMOS sensors, with one RGB CMOS sensor and another monochrome sensor. Both are protected by sapphire, both come with f/2.2 aperture and features NeoVision 6.5 camera technology. The M2 also has a strong dual ISP image engine – composed of an independent depth of field calculator ISP and a built-in dual core ISP of SoC. With the speedy PDAF feature, focus on your subject only takes 0.1 seconds. The superior aperture priority offered by the M2 brings color and light to life on screen. User can now make real-time adjustment of depth of field and preview while taking photo. The primary camera also provides 3D noise reduction that allows the M2’s lens to reduce noise in low light and produce clear and high-quality pictures anytime and anywhere. The monochrome sensor with full light penetration produces brighter, clearer night shots, together with the dual F2.2 aperture and a smarter noise reduction algorithm. With the support of the Dual-LED real tone flash, your camera can vividly reproduce real, natural colors. The NeoVision technology brings out the mobile photography expert in you. This technology is a customized edition just for the M series that enables a strong multifunctional camera. The Camera Family comes with a handful of features like Multi Exposure; Light Painting; Electronic Aperture; Slow Shutter; Star Trail; SLO-MO; Time-Lapse; Video Maker; Trajectory; DNG; Clone; Macro Camera; PANO; Monochrome camera 16 features, all this will bringing your photography more fun and professional. The 3D Stero Camera is a photography function to change the perspective when you move. It can combine various visual angles and dynamic conditions to create interactive 3D animated graphics. After taking the photo, turn the mobile phone around to watch the stereo effect or panoramic effect from different angles. Additionally, the Clone Camera 2.0 gives you more precision editing. Plus, you can record video in detailed 4K resolution rich enough to cast to large screens. On the front, it houses a 16 MP ISOCELL CMOS with f/2.0 aperture and an 80-degree wide angle lens. Sporting amazing 2μm virtual pixel size (pixel-binning technology), look as beautiful as you feel while taking sharp selfies even in low light. The M2’s Portrait mode gives users the convenience to take selfies by highlighting the people in the photos with blurred background, ensure the photos bring the subject and their emotions to the fore. The unique 3D Beauty algorithm on the M2 can accurately identified people for better pictures in portrait mode. There’s also a Portrait of Beauty feature that innovatively unlock different levels of beauty effects in the DoF mode which let the camera only focus on you ! The beauty function onboard also has 10 levels of adjustment, creating the perfect portrait beauty camera and making you even more beautiful. Plus, you can also capture every alluring detail with beautifying effects you can use in real-time on VoLTE calls or during editing, before you share your pictures with the world. Nine filters, each with 10 different intensifying modifications, give you 90 beautiful effects including smoothing out your skin, enlarging your eyes, enhancing the angles of your face and more. This handset sports a beautiful 5.5-inch 2.5D Super AMOLED display with 1920 x 1080 pixel resolution which is protected with Corning Gorilla Glass on top. Under the hood, it is powered by Qualcomm Snapdragon 625 MSM8953 2GHz octa-core processor, Adreno 506 GPU and coupled with 4GB RAM and 64GB of internal storage that can be further expanded via its microSD card of up to 200GB capacity. 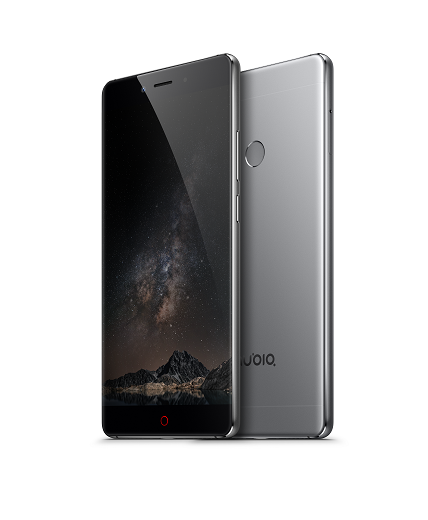 The body dimensions of nubia M2 are 154.5 x 75.9 x 7.0mm and weighing in at 168 grams. The M2 runs on Android 6.0.1 Marshmallow operating system underneath nubia UI 4.0. This smartphone packs a 3630 mAh battery that is supported with NeoCharge 18W fast charging technology that boost charging efficiency up to more than 96%. NeoCharge includes more than 20 security protections for your phone, covering the whole charging path. Your phone is protected from overheating, overvoltage and overcurrent. NeoCharge will pre-examine power adapters and perform real-time monitoring and controlling. There’s a lightspeed fingerprint sensor integrated into the physical home button placed on the front of the device which can unlock the phone within 0.15 seconds. Besides, the smartphone also offers Hybrid Dual SIM, 4G LTE with VoLTE support, USB Type-C port, WiFi 802.11 ac, GPS support, Dolby Surround 7.1, and TruSignal Enhancement technology. TruSignal technology increases call quality by 30% and data transmitting speed by 40% while decreasing power consumption by 20%. For a stronger, more stable signal, the M2 is outfitted with smart dual antennas, which means that you don’t need to worry about your hand position under different signal conditions. You can listen music on the M2 in surround sound with the groundbreaking DTS HEADPHONE:X. The speaker features advanced SmartPA technology with maximum transient power of 5.7W, so you can enjoy a higher volume without worrying about a sudden break in the sound. The nubia m2 Lite is a stylish looking smartphone that is offered with an affordable price tag. The M2 Lite adopts a 5.5-inch HD (1280 x 720 pixels) display with a 2.5D curved glass covered on top of the screen. Internally, there is an octa-core MediaTek MT6750 Helio P10 chipset that is paired with 4GB of RAM and 32GB of internal storage, expandable storage up to 128 GB capacity. The smartphone runs nubia UI 4.0 based on the Android 6.0.1 Marshmallow out of the box. It has a 3,000 mAh cell capacity that has 5V/2A of charging speed. Camera wise, the M2 Lite is equipped with a 13 MP primary camera with f/2.2 aperture and a 16 MP selfie camera with 5P lens, f/2.0 aperture and a 79.8 degree wide-angle lens. Neovision camera technology is added to the device to enhance the camera’s functionality. Connectivity options provided inside the nubia M2 Lite include 4G VoLTE, Wi-Fi, Bluetooth 4.0, GPS, GLONASS and USB OTG. Similar to the nubia M2, the M2 Lite also has a fingerprint sensor embedded in the home button. The device measures 155.73 x 76.7 x 7.5 mm and weighs 164 grams. nubia N1 Lite features a 5.5 inch HD display with a resolution of 1280×720 pixels and 267 pixel density. The device is powered by 1.25 GHz Mediatek MTK 6737 quad core processor with Mali-T720. It comes with 2GB RAM and 16GB internal storage, which is expandable up to 32 GB via microSD card. nubia N1 Lite offers an 8MP rear camera with f/2.0 aperture, dual LED flash, and 4P Precision Optical Lens. On the front, it uses a 5MP front camera, which comes with f/2.8 aperture, soft light flash and 3P lens. The front camera offers 84-degree field of view. Out of the box, the nubia N1 Lite is running Android 6.0 Marshmallow OS, it also has a rear fingerprint scanner for better security protection. The phone packs a 3,000mAh non-removable battery and it supports dual SIM cards. The dimensions of nubia N1 Lite are 153 x 77.5 x 8.4mm and it weighs around 171 grams. nubia M2 will be available in two color variants: Black Gold and Champagne Gold, its retail price in Malaysia is RM1,699. 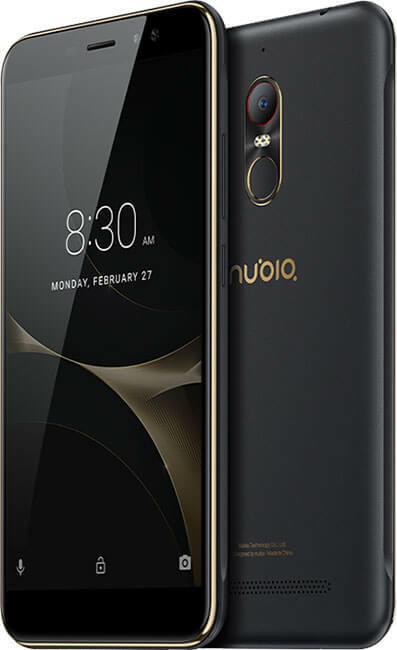 nubia M2 Lite will be sold at the retail price of RM1,099 and comes in two color options: Black Gold and Champagne Gold. The N1 Lite will also have Black Gold color choices, retailing at an affordable price of RM599 in the Malaysian market. All the above mentioned nubia devices are now available at all nubia authorized retail stores nationwide. They are also purchasable at local online e-commerce websites including Lazada, 11street and DirectD. 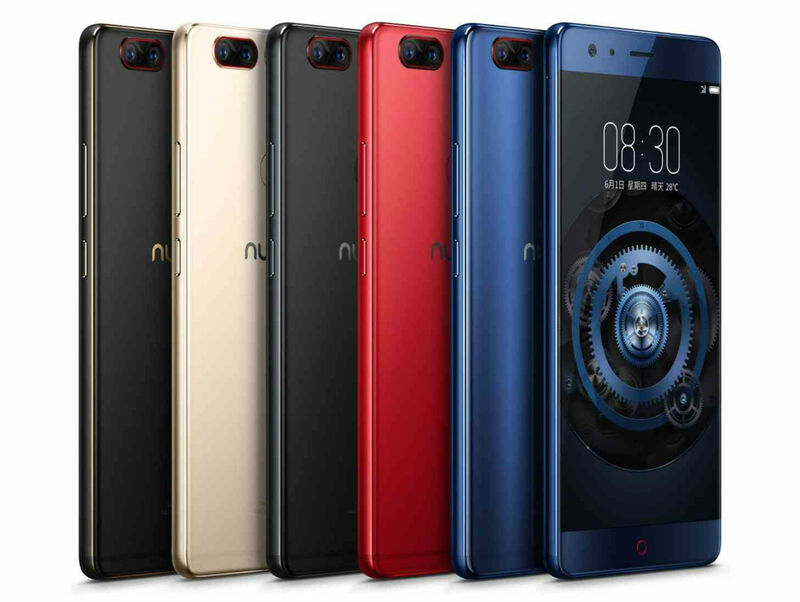 Due to high demand from local consumers, nubia Malaysia has answered your call by bringing in the highly rated nubia Z11 to the Malaysian market as well. 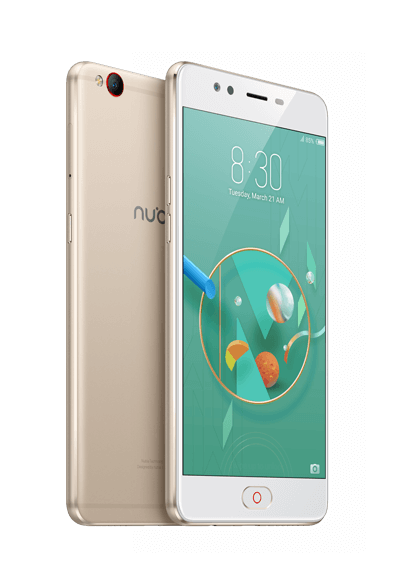 nubia Z11 is nubia’s flagship model that offers high end specifications such as Qualcomm Snapdragon 820 chipset, a whopping 6GB of RAM etc. Despite having all these premium features, the nubia Z11 will be sold at RM1899 only in Malaysia which is a great bargain for a flagship device that you simply cannot resist! On top of that, the latest and most powerful nubia’s 2017 flagship smartphone — nubia Z17 that offers a massive 8GB of RAM and Snapdragon 835 will be coming to the Malaysian market soon! For local nubia fans who are interested in the latest Nubia smartphones, here’s your chance to put your hands on one of them as nubia Malaysia will be holding a roadshow at Plaza Low Yat Concourse this week from 10.00 am to 10.00 pm starting 19 June until 25 June! # Kick & Win contest - win on the spot! 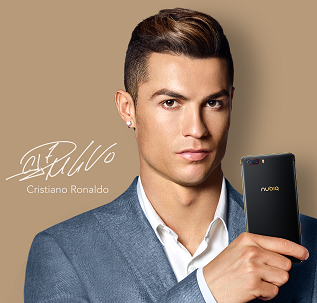 # Exclusive Cristiano Ronaldo Gift Box for every purchase of nubia smartphones! Another new player in the market, will check it out.